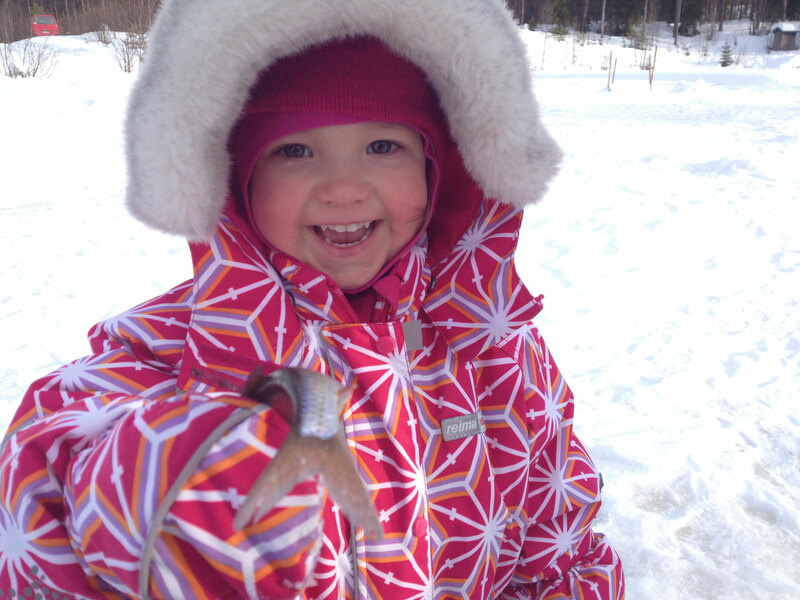 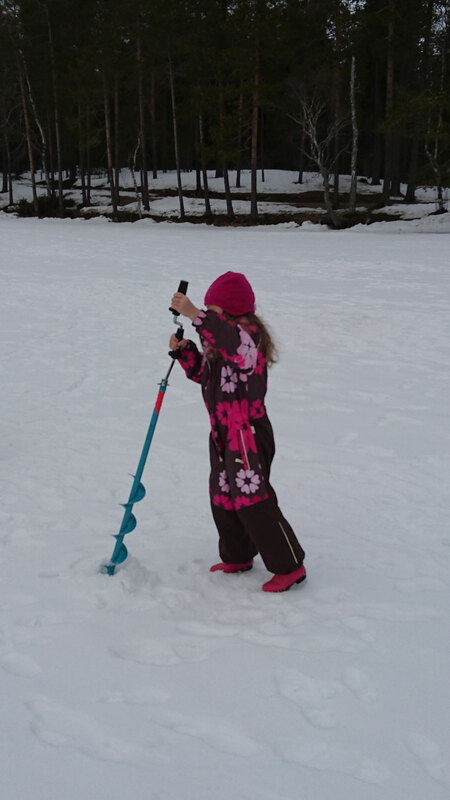 Ice fishing is the perfect family experience. 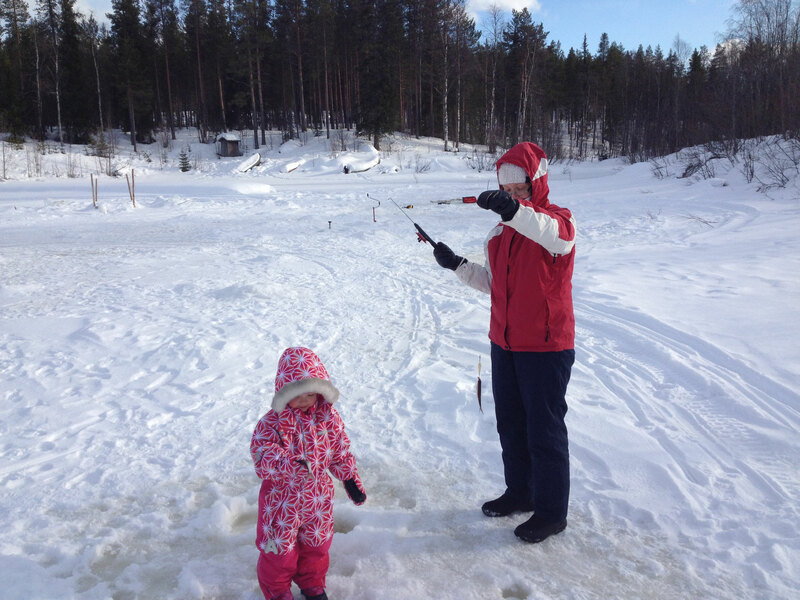 Children and adults usually love it ! I pick you by car from your accommodation in Luosto, and we head for the nearby river. 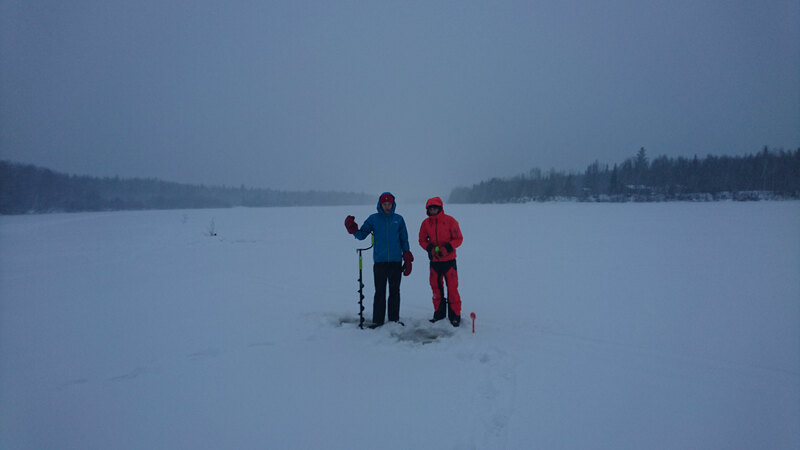 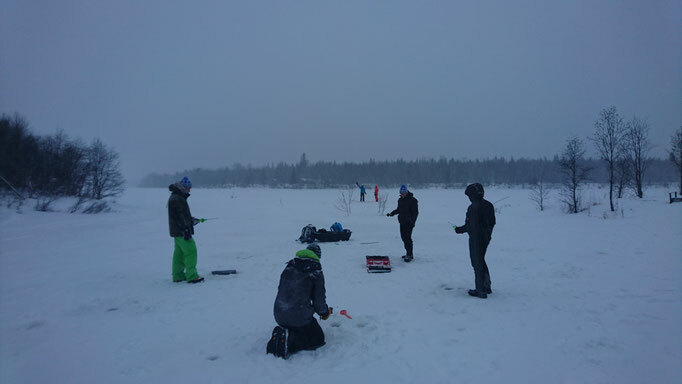 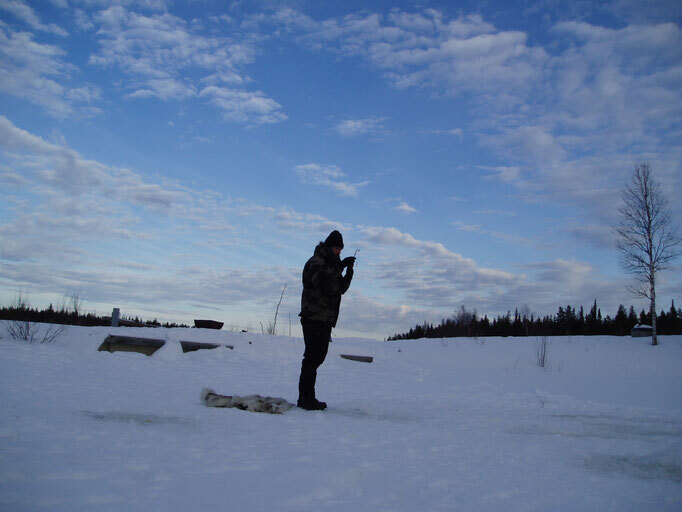 Once on the ice, we drill holes with an ice drill, and start fishing... results are usually quite good in this place. 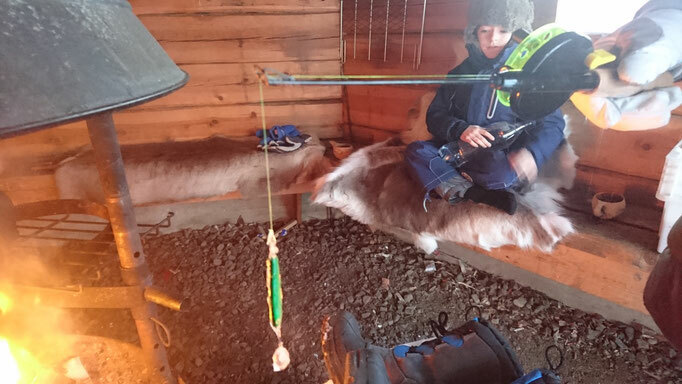 There is also a small open shelter close-by, where we can have a fire and stay confortable. 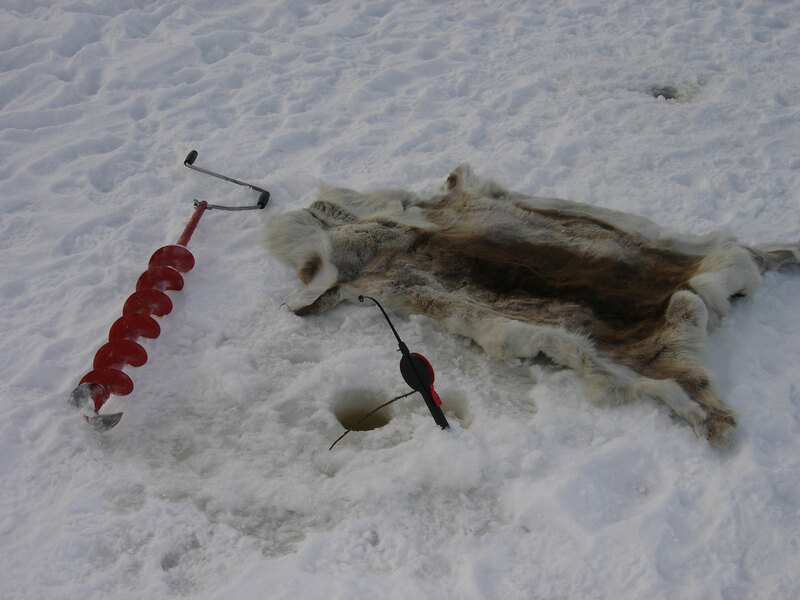 We will have some hot drinks, grill the famous finnish sausage and enjoy a local pastry. 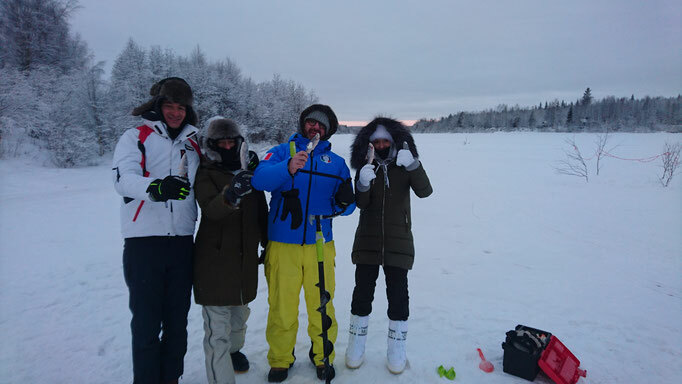 (I usually take some spices with me in case we want to taste our catch!). 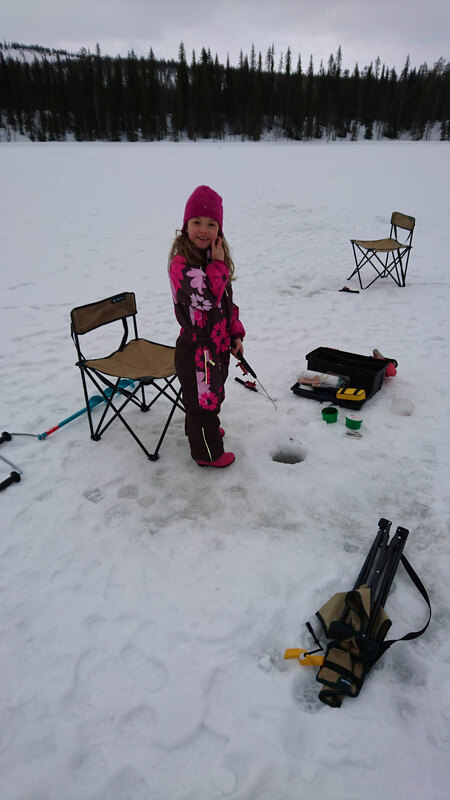 The time schedule for this program vary depending on the daylight (rod fishing depends quite a lot on daylight), but usually, the program start between 9 to 11 am. INCLUDES : private guide service, car pick up, fishing gear, snacks, hot drinks and sausage around the fire.